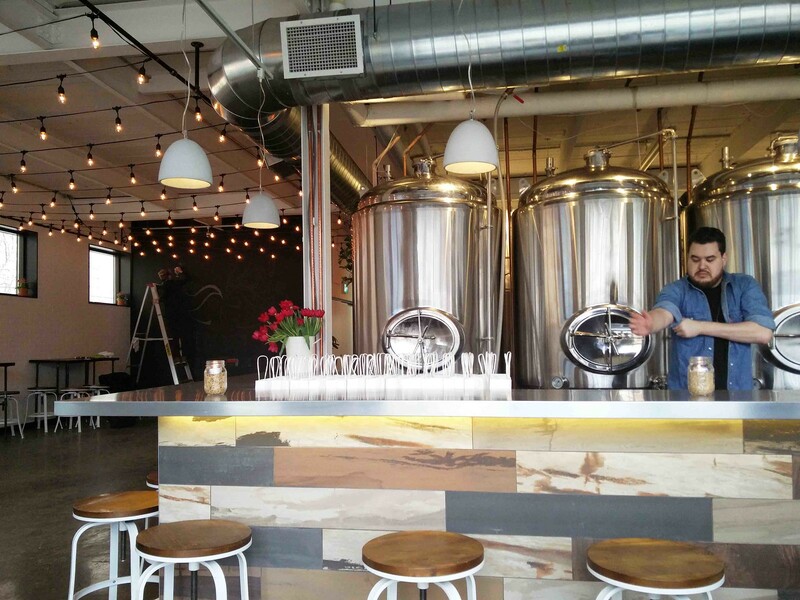 Here’s one upcoming microbrewery to look out for: Bandit Brewery in Roncesvalles Village. 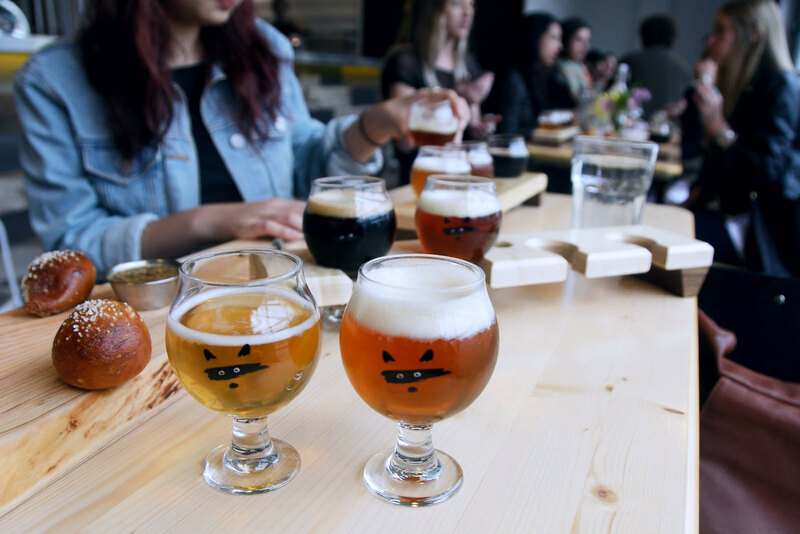 Introduced by Stephane and Shezad, Bandit Brewery has international beer loving with one part of the duo favouring the darker of beers, and the other half enjoying the crisper. So, you would only assume that the best of both worlds will be present on tap. 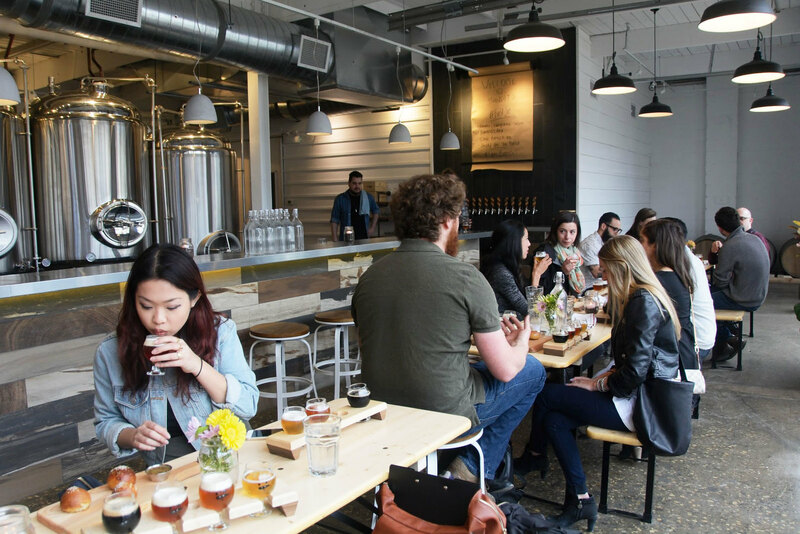 The newest brewpub space is nestled in the heart of Dundas West is vibin’ as one of a kind. 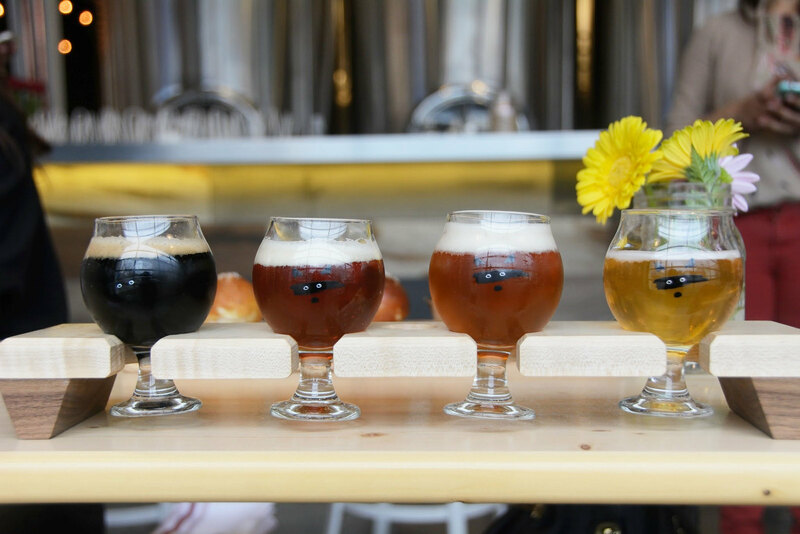 On the outside, the inspiration of German beer garden will take place as soon as the warmer weather rolls out to truly enjoy the sunny weather, and on the inside, an open space of rows of communal picnic tables and radiant atmosphere. On this evening, we entered as one of the very first guests to experience the very #FirstSip with a guarantee that there would be a beer that would capture my heart. The Bandit Brewery team have plans to create 60 different beers within the first year of opening – quite a year of experiment – where on a day to day basis, they will be launching 8 of their own brews, with 5 additional rotating taps from other local breweries. 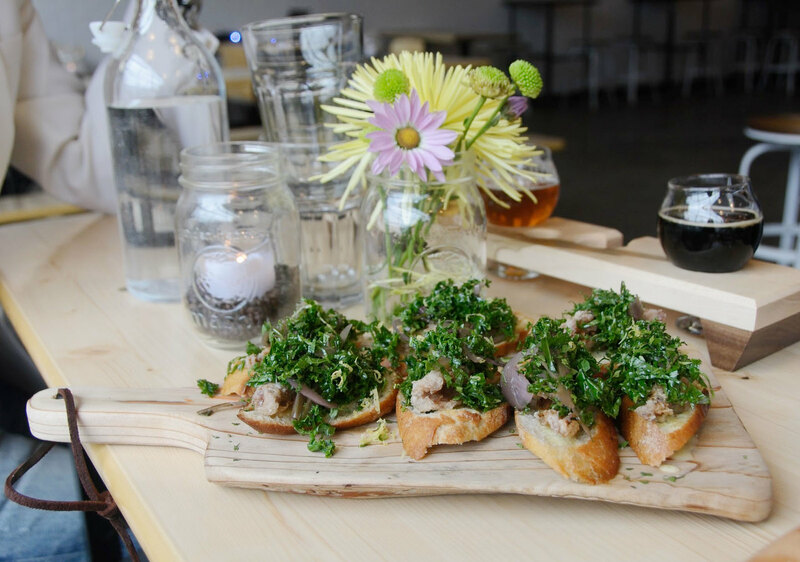 In the full menu to come there will be food items infused with beer, such as the APA infused dressing in the house kale salad, APA beer battered cheese curds and a Porter infused sticky toffee pudding. 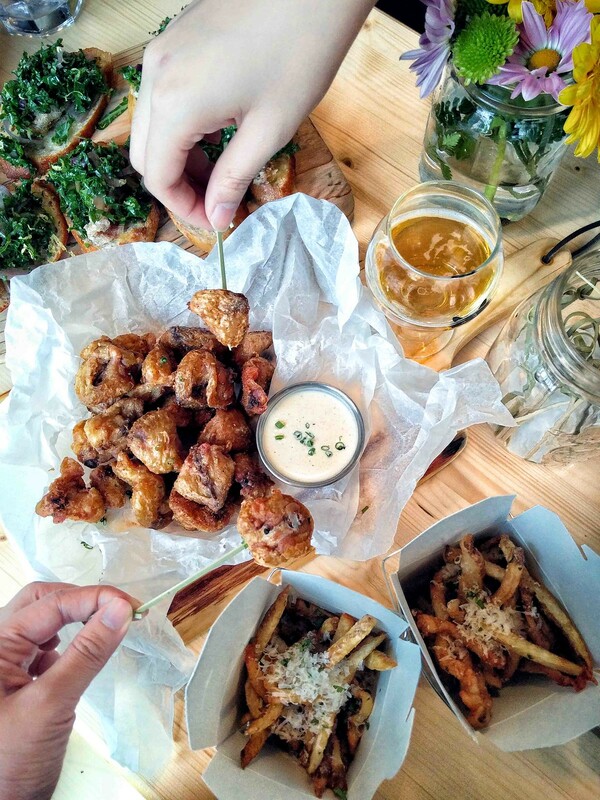 As for what was tasted and enjoyed throughout my evening for the #FirstSip, my selected favourites were the heart-warming homemade pretzel buns, the certainly interesting confit chicken tails to share and of course – the fries – every brewpub must do good fries. Out of the beer flights, I truly enjoyed the “farmed and dangerous” – you could truly taste the coriander and orange peel elements of this, but it was very smooth and easy unlike any other saison I’ve ever had (saisons are never my first pick) my other favourite was of course “the cone ranger” which is another easy-drinking American IPA sipper. Balanced, aromatic American style pale ale, dry-hopped with three types of hops. An aromatic American IPA, dry-hopped with Cascade, Centennial and Chinook hops. 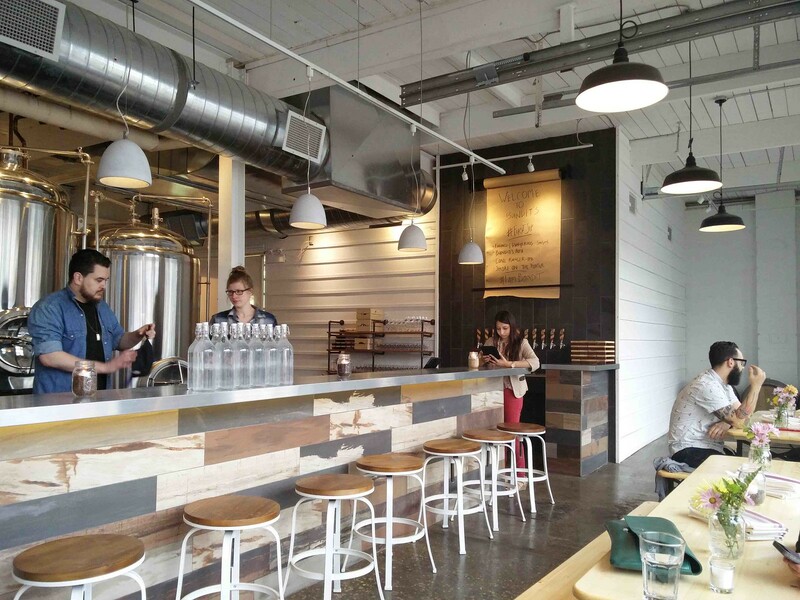 Count the days to the official opening of Bandit Brewery! 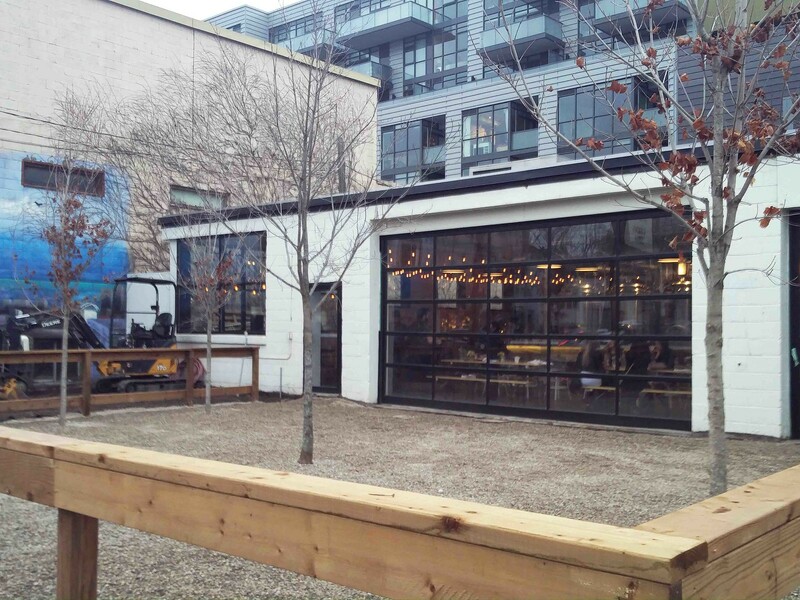 Bandit Brewery will be the spot that I will be returning to in the warmer weather, the patio calls my name! Mondays to Thursdays they will be open 5PM to midnight, Friday 5PM to 1AM, Saturday & Sunday 12-1AM. 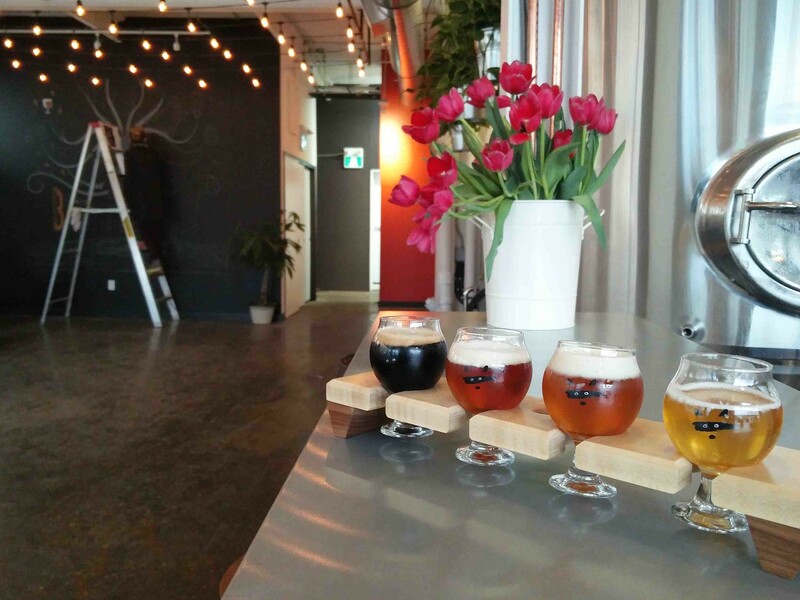 With a guaranteed 15 beers on tap, there will sure to be a favourite of anybody’s. 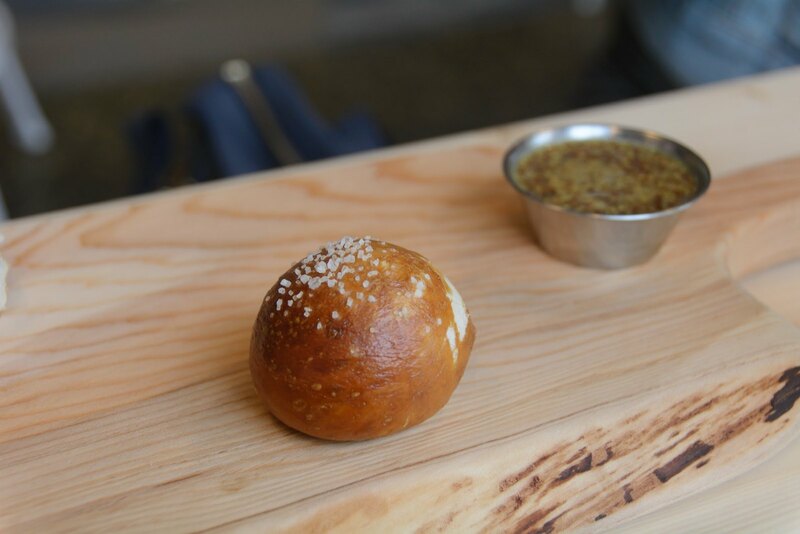 The upcoming menu for beer-infused food items have me antsy for my return.